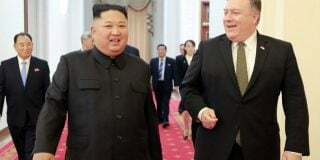 North Korean Vice Premier Ri Ryong Nam has been invited to Seoul to attend a forum on inter-Korean economic cooperation, a South Korean private federation confirmed to NK News on Thursday. 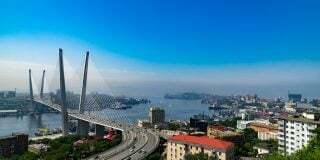 The Federation of Northern Economy — launched in May with the permission of the ROK Ministry of Trade, Industry and Energy (MOTIE) — said the forum has been postponed for two months to allow the invitation of Ri and North Korean businesspersons and economists. 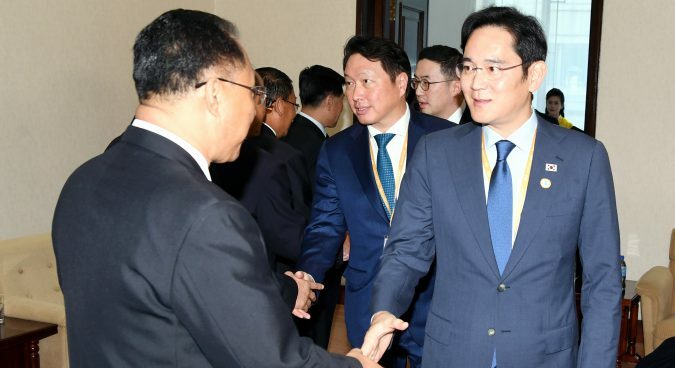 Last month’s inter-Korean summit in Pyongyang saw Vice Premier Ri hold a meeting with South Korean business leaders, including Samsung Electronics Vice Chairman Lee Jae-Yong and Hyundai Group CEO Hyun Jeong-eun. Ri is known to be a specialist in foreign trade and commerce: he previously served in the now-abolished position of Minister of Foreign Trade as well as Minister of External Economic Affairs. He also worked for the now-defunct Committee for the Promotion of International Trade as its first vice-chairman. 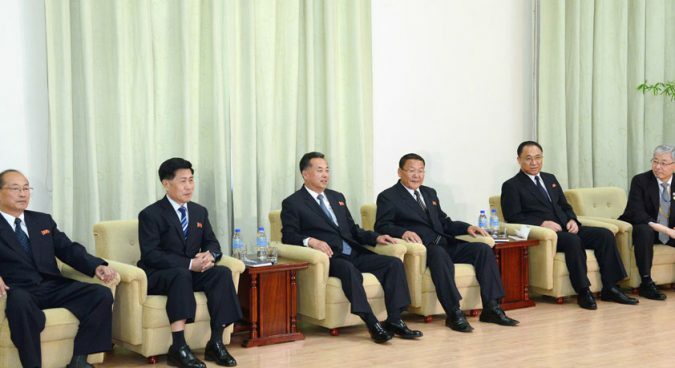 The official said the federation has been in contact with Dandong and Beijing representatives of the DPRK National Economic Cooperation Federation, which previously organized a visit to the North’s Rason city by the South Korean Presidential Committee on Northern Economic Cooperation in July. Ri’s attendance at the forum is yet to be confirmed, however. 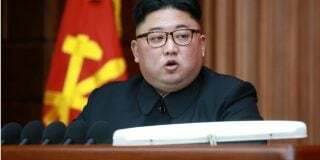 “I think there is a fairly high chance [he will attend],” the official told NK News, saying brokers communicating with North Korean entities in China over the issue agreed the Vice Premier was likely to attend. “But we haven’t received any concrete answer on whether he will come,” he said, repeating that there has been “no definite answer” from Pyongyang. 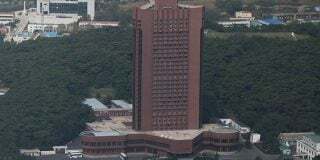 Though the federation has requested the South Korean unification ministry’s help to organize a visit by North Korean high-ranking officials, there is yet to be any confirmation from relevant authorities. Around 250 people are expected to take part in December’s forum, and the federation has also invited, among others, Prime Minister Lee Nak-yon, National Assembly Speaker Moon Hee-sang, and officials from the MOU and the MOTIE. Also touted as potential attendees are Samsung, Hyundai, LG, SK, the government-run Korea Electric Power Corporation (KEPCO), as well as other companies who have been engaged in inter-Korean economic cooperation. Though the federation said it has been in consultation with the ROK government over the plans, the unification ministry told NK News that “no procedure” has been followed yet, including reports that Seoul must receive before South Koreans make contact with North Koreans. The news comes as entities in both Koreas push for cross-border contact at both the public and private level. South Korea’s Hyundai Group plans to hold a ceremony marking 20 years since the launching of inter-Korean tourism at Mount Kumgang. 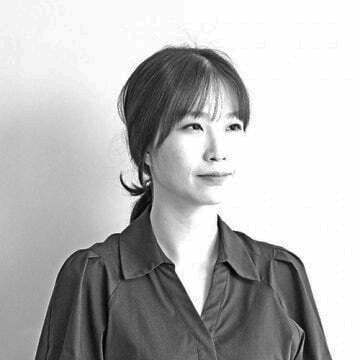 When contacted by NK News, an official at Hyundai Asan said Hyundai Group CEO Hyun Jeong-eun would likely visit the North for the event, while stressing it was yet to be confirmed. The Hyundai Group is reportedly “internally planning” the event, but it yet to begin formal consultation with either the South Korean government or the North. The official said the corporation plans to begin discussions with the North Korean side later in the month. A DPRK trip by Hyun in November, should it go ahead, would be her third trip this year. The Hyundai CEO most recently visited Pyongyang in September as part of a special entourage member accompanying South Korean President Moon Jae-in during his third summit with North Korean leader Kim Jong Un. August also saw Hyun visit Mount Kumgang to attend a memorial event commemorating the 15th anniversary of the death of her late husband, former Hyundai chairman Chung Mong-hun. She also met with North Korean officials, including vice-chairman of the Korea Asia-Pacific Peace Committee (KAPPC) Maeng Kyong Il. Following her visit, Hyun said both Hyundai and North Korea expected tourism at Mount Kumgang to be resumed by the end of the year. Subscribe to read the remaining 839 words of this article.